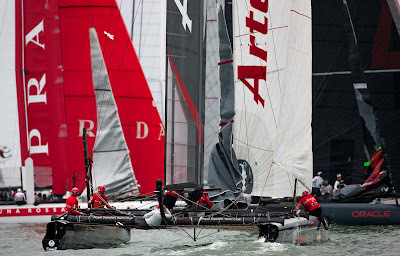 Light air, plenty of current and countless lead changes, made for dramatic racing for the thousands of spectators who lined the race course for the final day of the America's Cup World Series in Venice. Having defeated Energy Team in the Match Racing Semi-Finals yesterday, Artemis lined up against Luna Rossa - Piranha for the Finals. The Italians battled and kept the pressure on, but were unable to defeat Artemis who maintain their position at the top of the ACWS Match Racing leaderboard after the five World Series events. "We had a good result in Naples and now here, in quite different conditions. 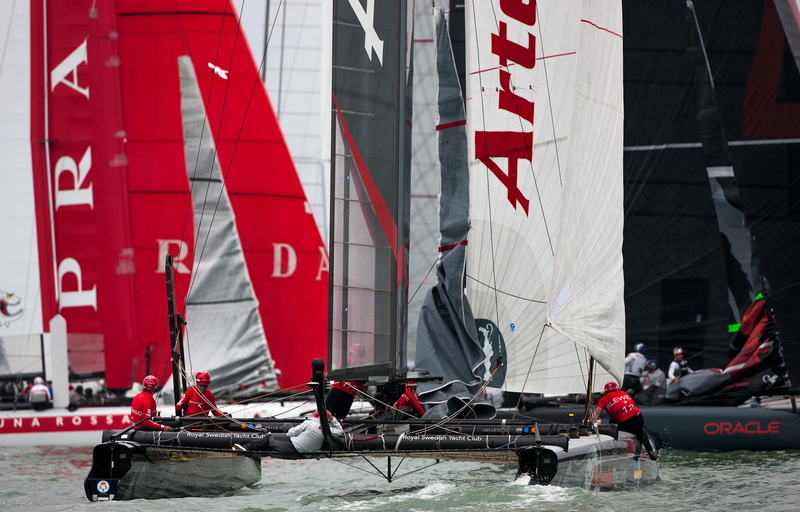 The nice thing about the match racing at these regattas is that we've executed our game plan. We're starting to feel that the training is paying off for us." The Super Sunday fleet race followed and France's Energy Team dominated, while the rest of the fleet shuffled for position. 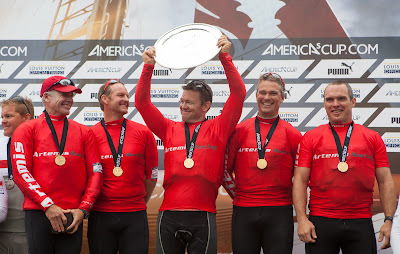 Artemis Racing and Luna Rossa – Piranha were both over early at the start, but Terry and the team battled their way back to 3rd place for a podium finish. The team now returns to Valencia to continue training with the AC72 wing before the next ACWS event in Newport from 27 June – 1 July.